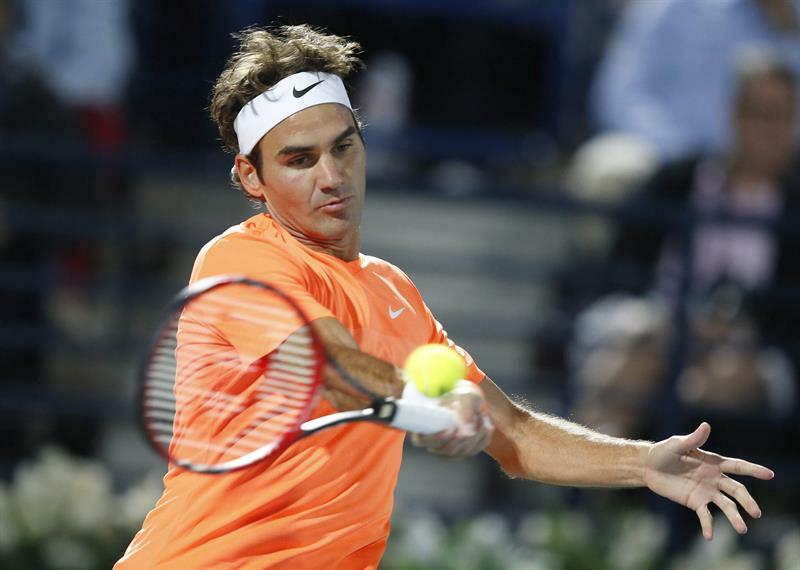 Roger Federer produced a masterful display of Tennis as defeated World No. 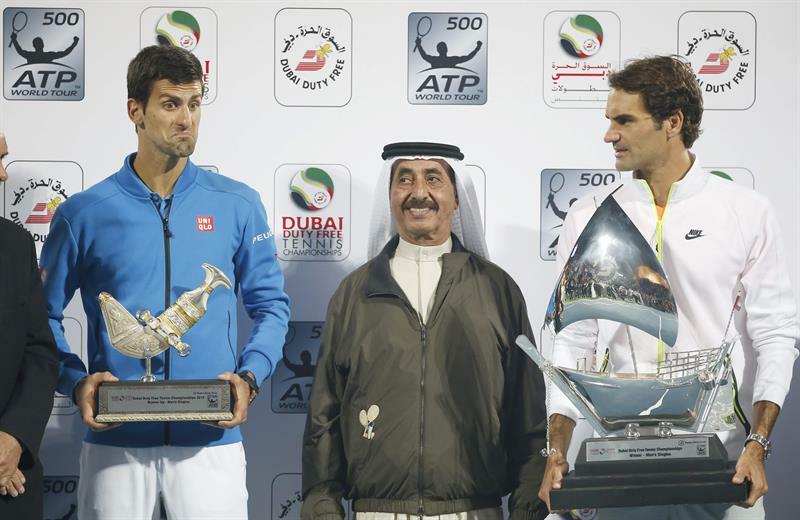 1 Novak Djokovic 6-3, 7-5 in an hour and 24 minutes to capture his 7th Dubai Duty Free championship title & overall his, 84th singles career title. 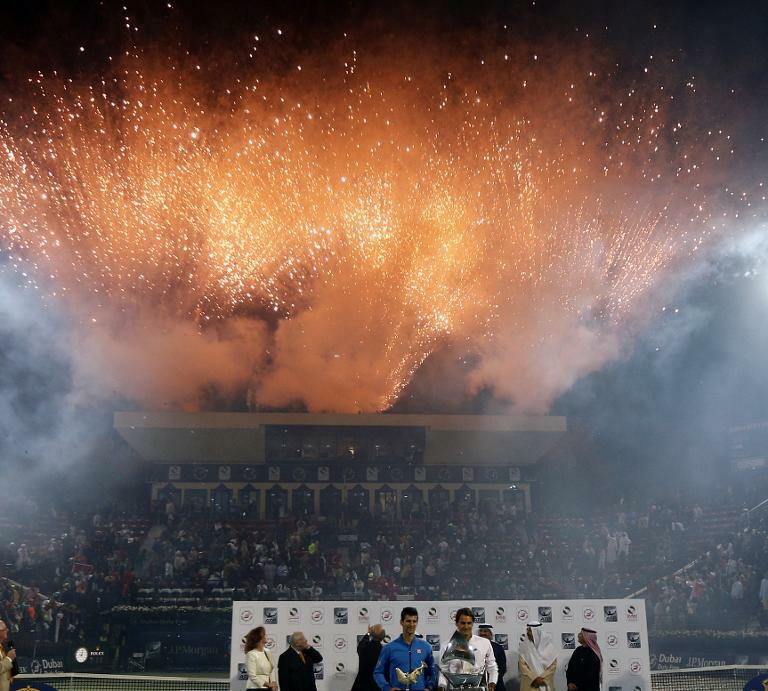 The match was played in an electrifying atmosphere with a full house. 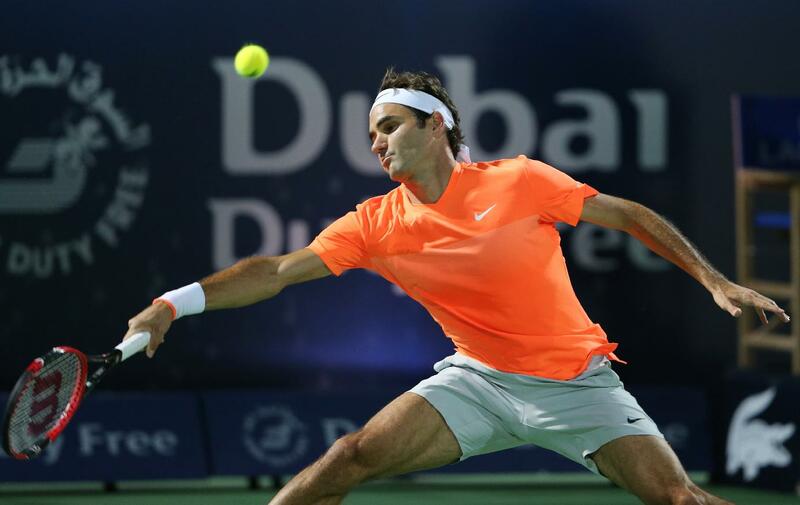 Federer started aggressively and with a clear game plan of keeping the points short. 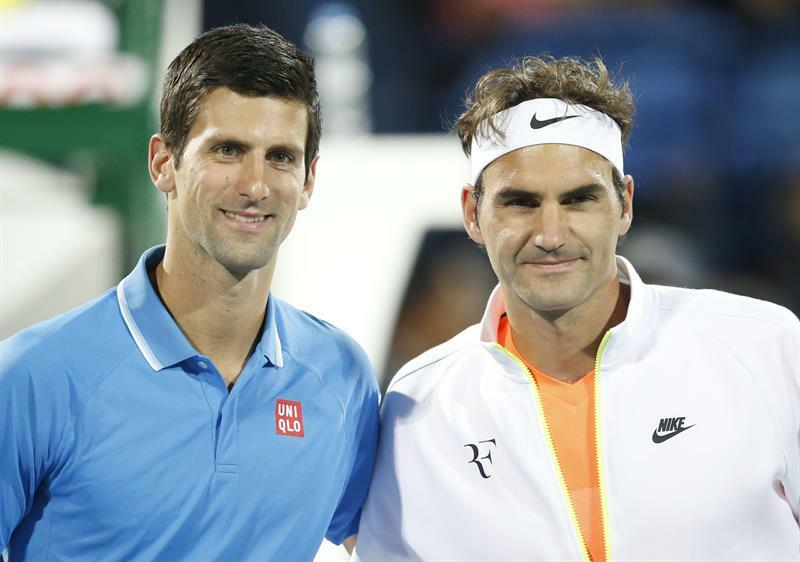 Djokovic had a break-point each in the 3rd and the 5th game but Federer managed to save those with his brilliant mix of wide serves. 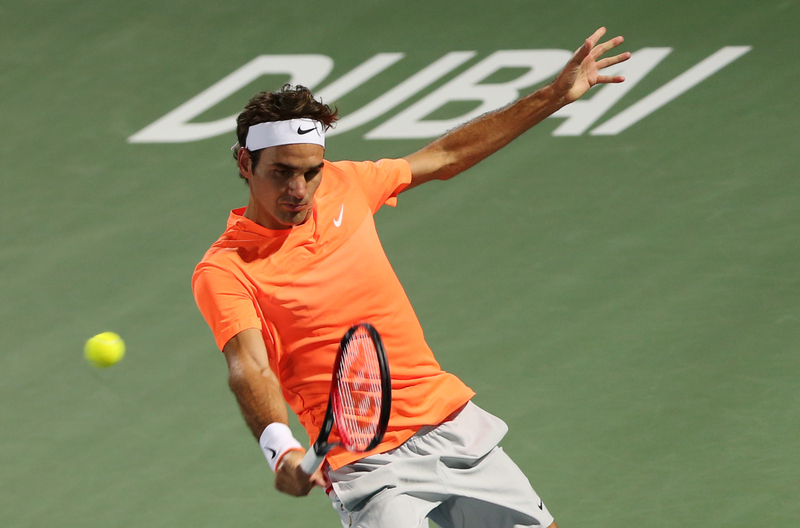 Federer got the first break in the 8th game on his very first break-point and that one break was sufficient as Federer closed out the 1st set 6-3 in 38 minutes. 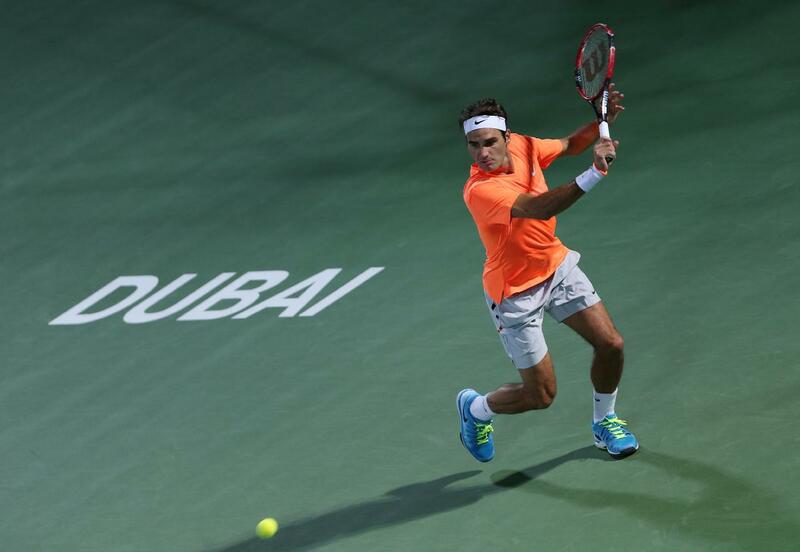 Roger Federer served out his 9000th career ace in the 6th game of the 2nd set & thus, became the 4th man (since ATP started counting aces in 1991) to record 9000 aces (after Ivanisevic, Dr Ivo Karlovic & Andy Roddick). 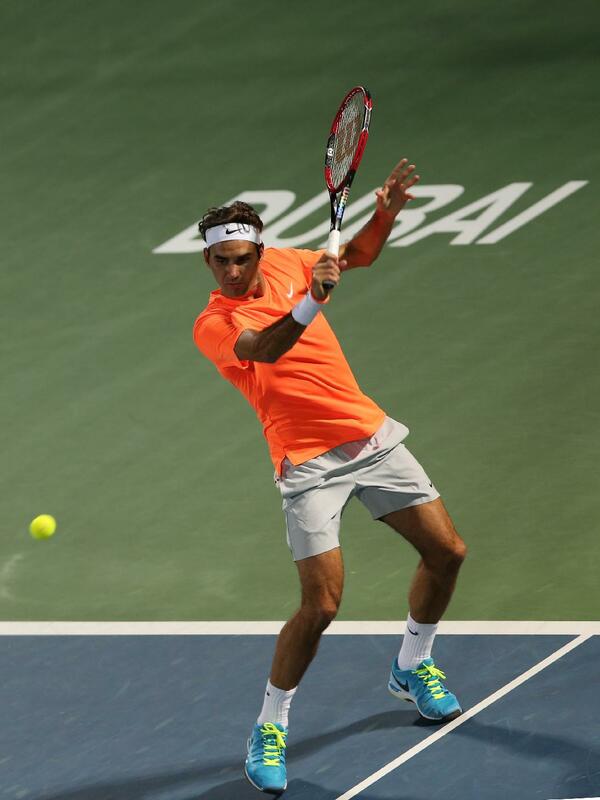 The first seven games went on serve without any break points. 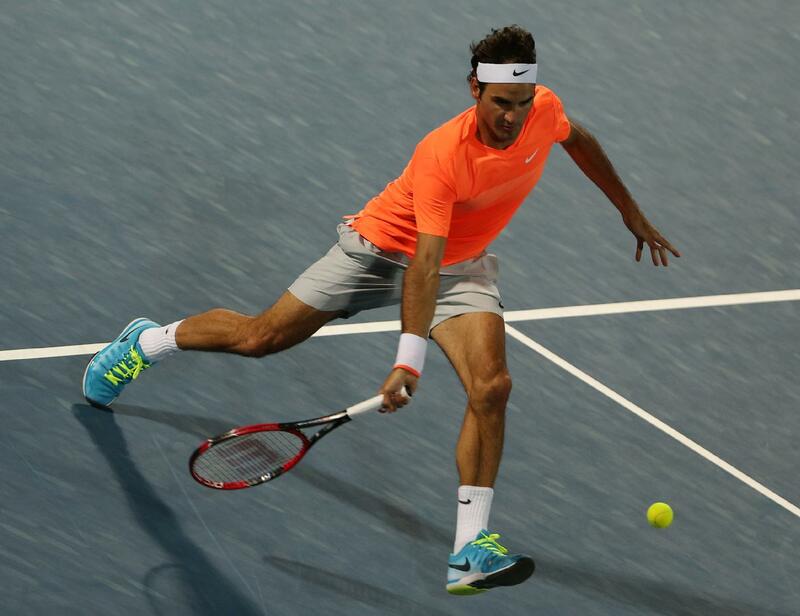 But, the Serb had two break-points on Federer's service in the 8th game and the Swiss maestro managed to save those with fantastic wide serve. 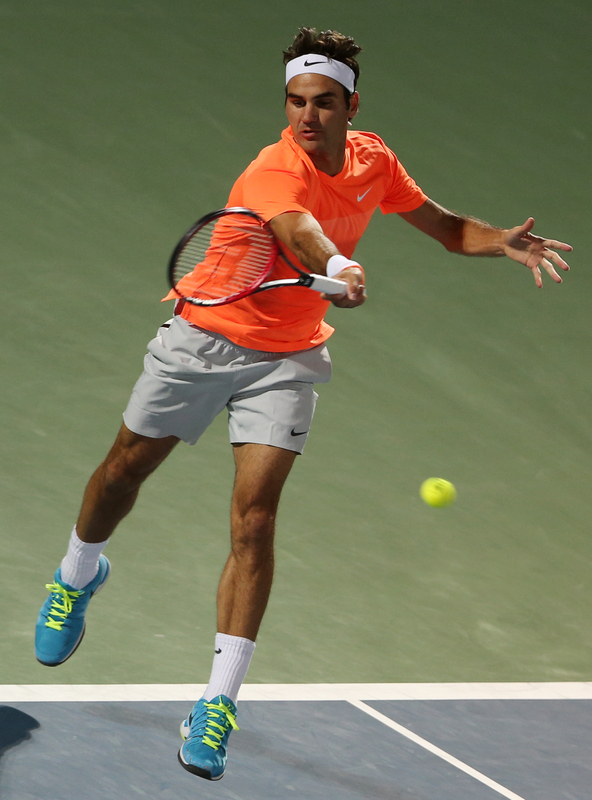 Djokovic again had two set points (break-points) in the 10th game, but once again, Federer managed to save those two break-points with some pin pointing clutch serving. 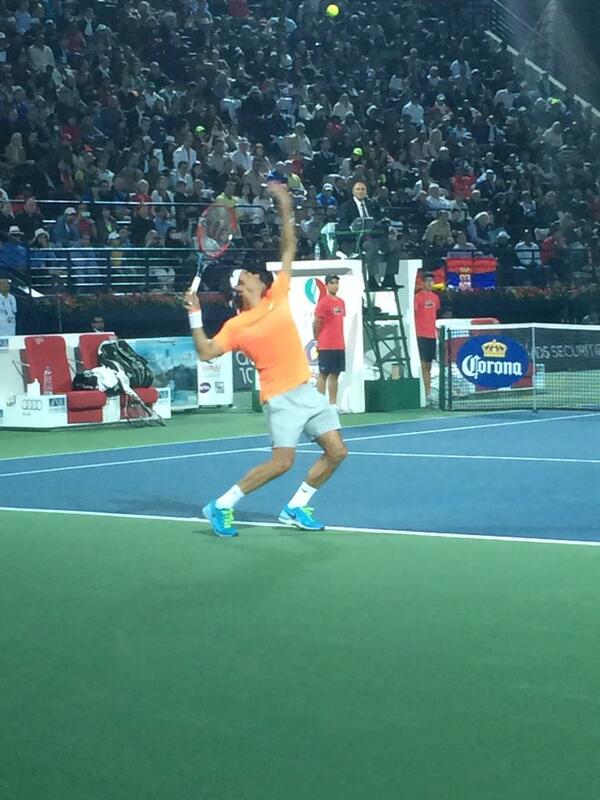 Federer immediately broke Djokovic's serve the very next game to get to a 6-5 lead. 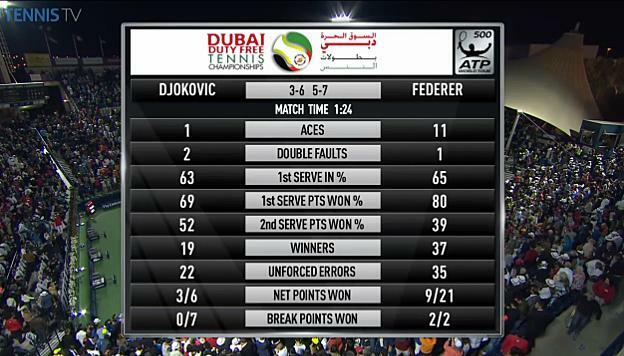 Djokovic again had a break-point in the 12th game but Federer once again saved it with his immaculate clutch serving. 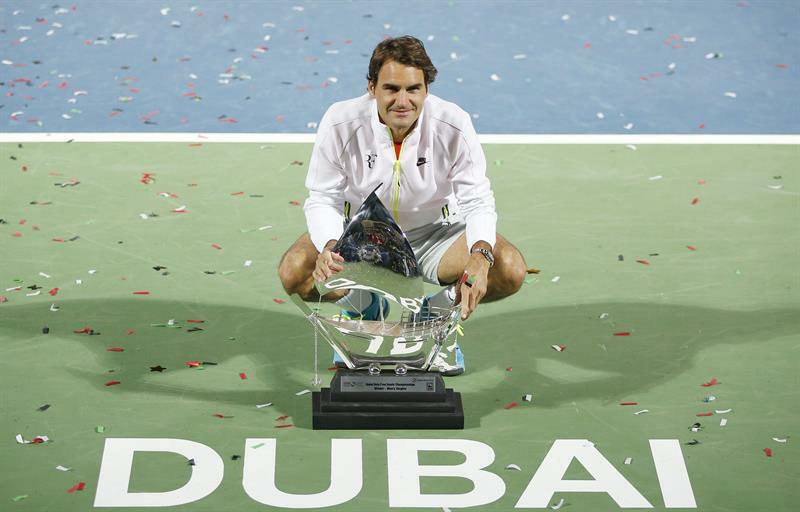 Federer then served out the match on his 2nd match point, thus winning the Dubai title for the 7th time. 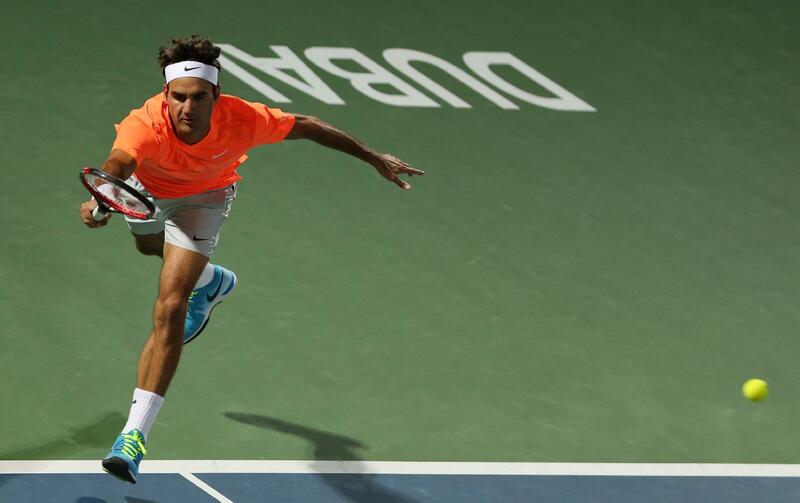 This was the first time in Roger Federer's (126 finals) career when he managed to save 100% of the break points that he faced against him and converted 100% of the break-points. 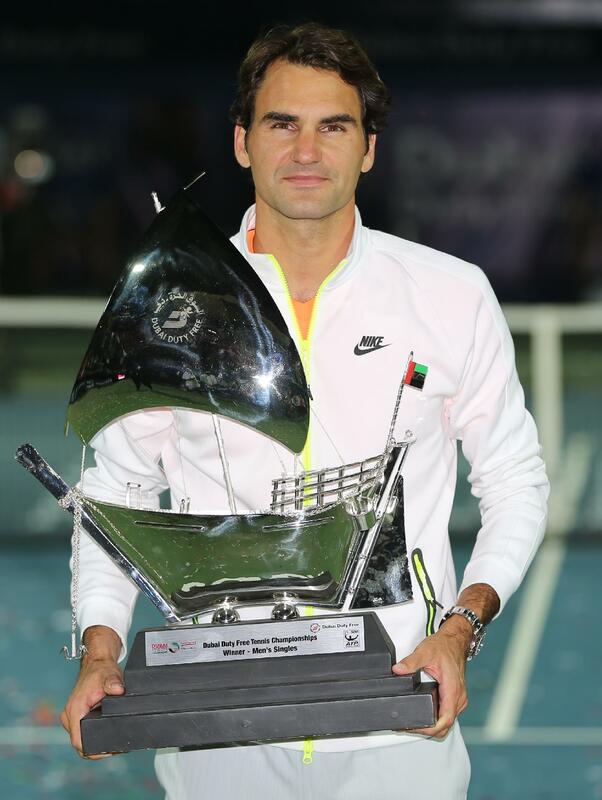 Federer today became the third man in the ATP Open Era to win *at least* two title for 13 seasons. 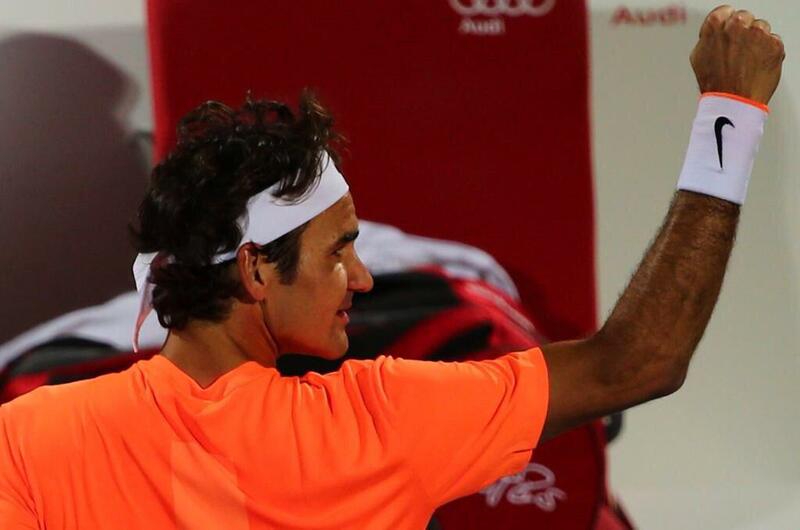 1007th career match win (Jimmy Connors with 1253 wins, Ivan Lendl with 1071 wins have more match wins than Federer). 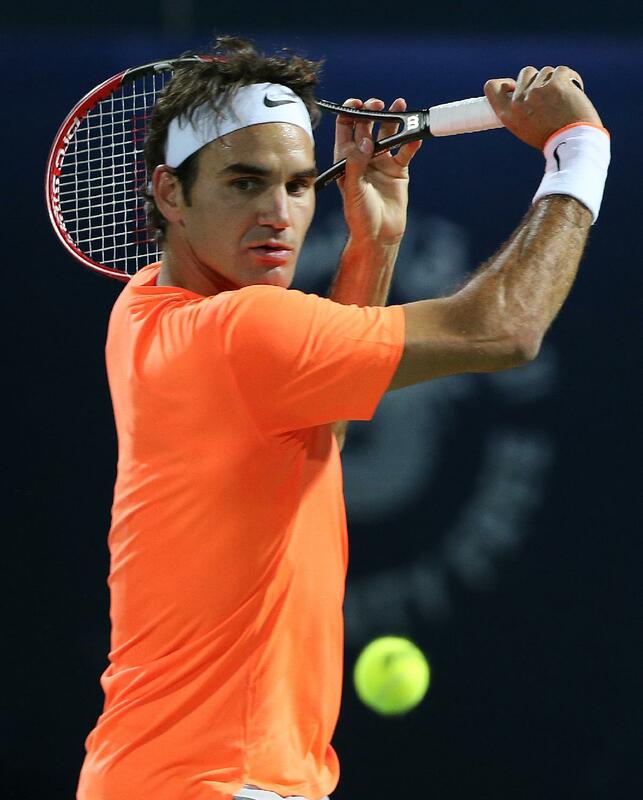 905th match win against a right handed opponent. 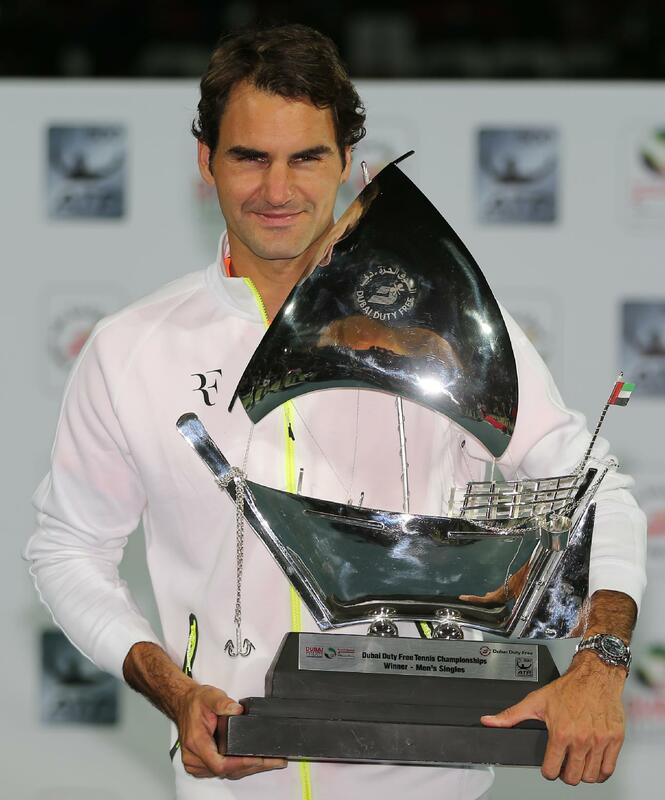 Federer's 84th career singles title in his 126th career finale. 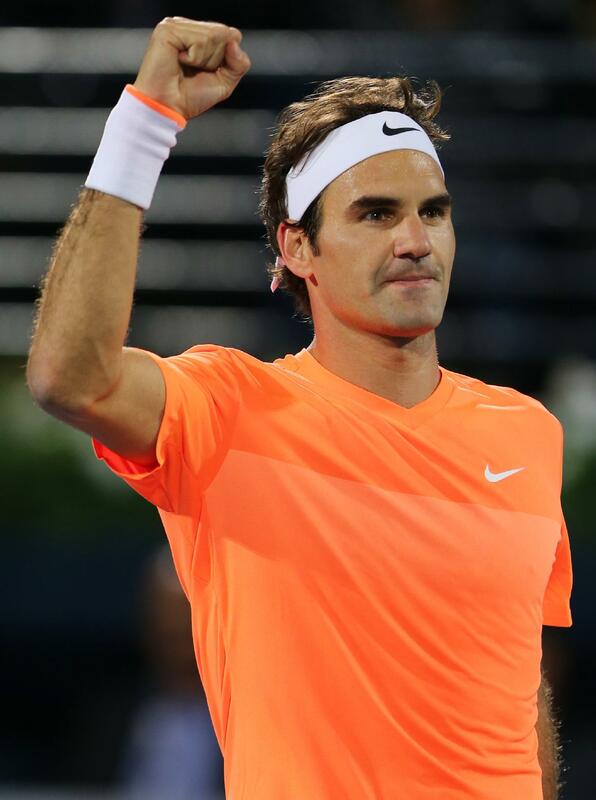 Only Jimmy Connors with 109 and Ivan Lendl with 94 titles have more titles than Federer in the open era. 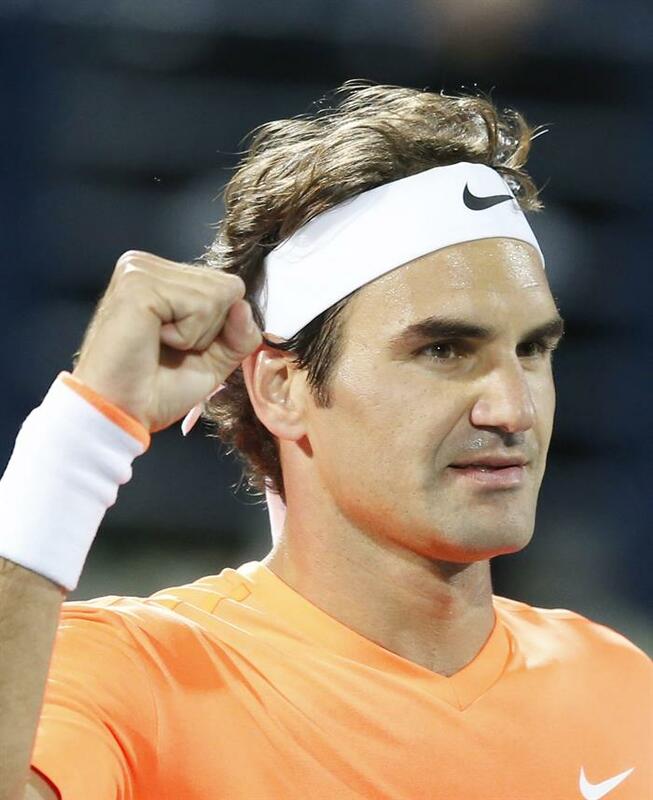 Since turning 33 on 8th August, Roger Federer has played 46 matches, he's won 41 of those & lost just five (vs Tsonga @ Rogers Cup final vs Cilic @ US Open semi-final, vs Raonic @ Bercy, vs Monfils Davis Cup finals, he withdrew from the World Tour Finals final match vs Djokovic & 3rd Round Aus Open vs Seppi). 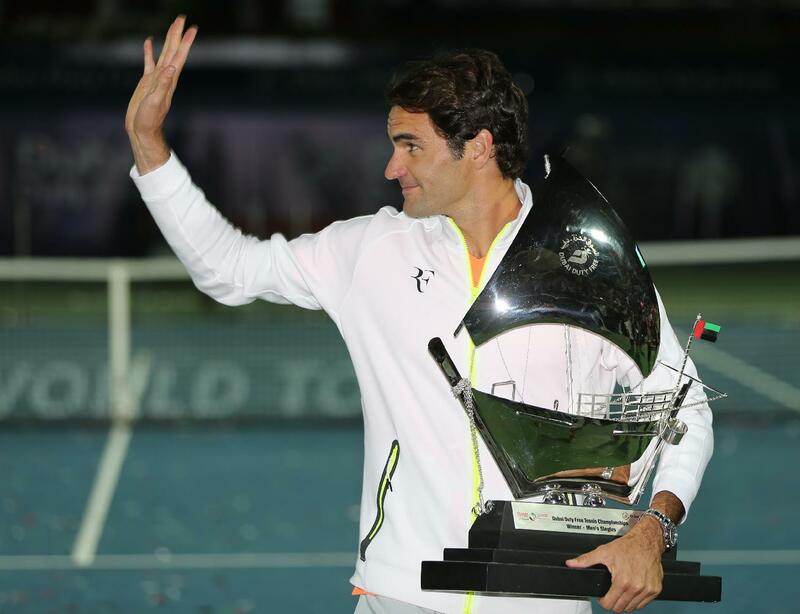 During, 8 of the last 13 years, Roger Federer has won *at least* 5 titles each year. Read More. 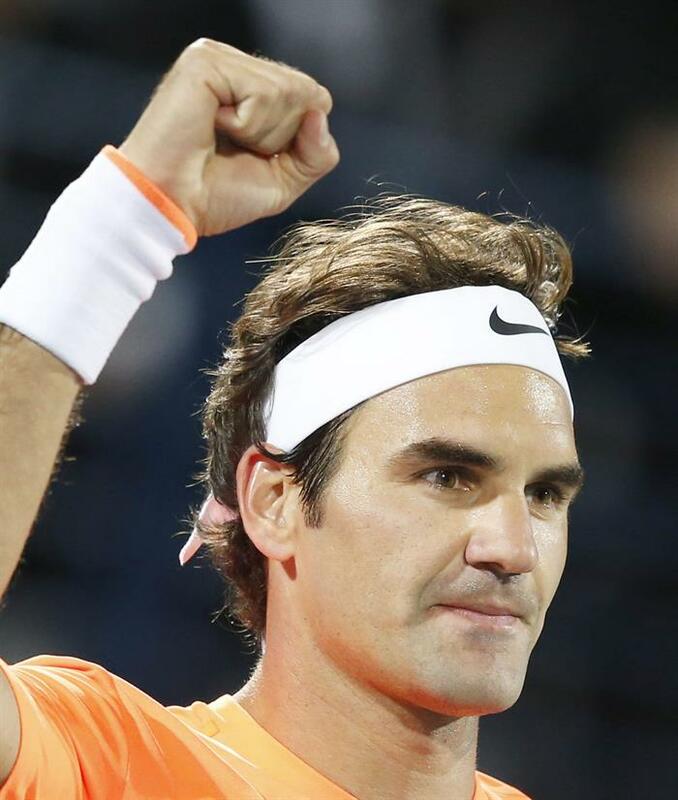 Roger Federer finals won after :a) winning 1st set: 71 of 83 or 86%, b. 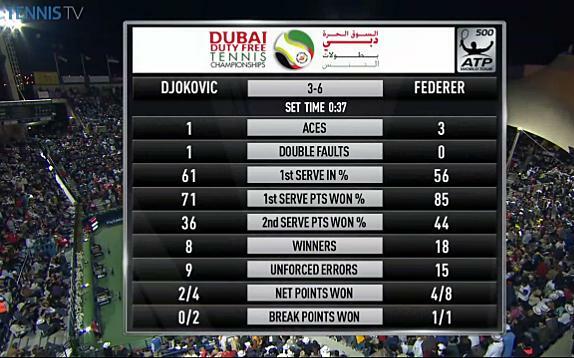 & after losing the 1st set : 13 of 42 or 31%. 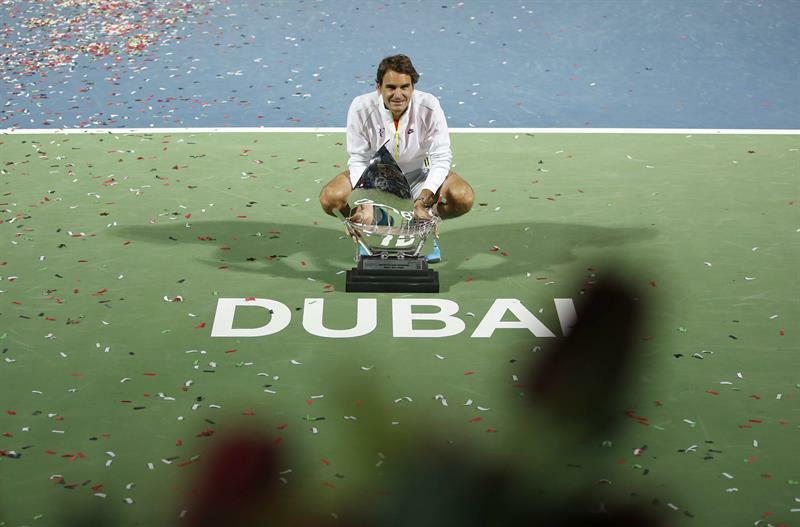 Dubai became the 3rd tournament which Roger Federer has won 7 times (others being Wimbledon and Gerry Webber Open, Halle - which Roger Federer has won 7 times). 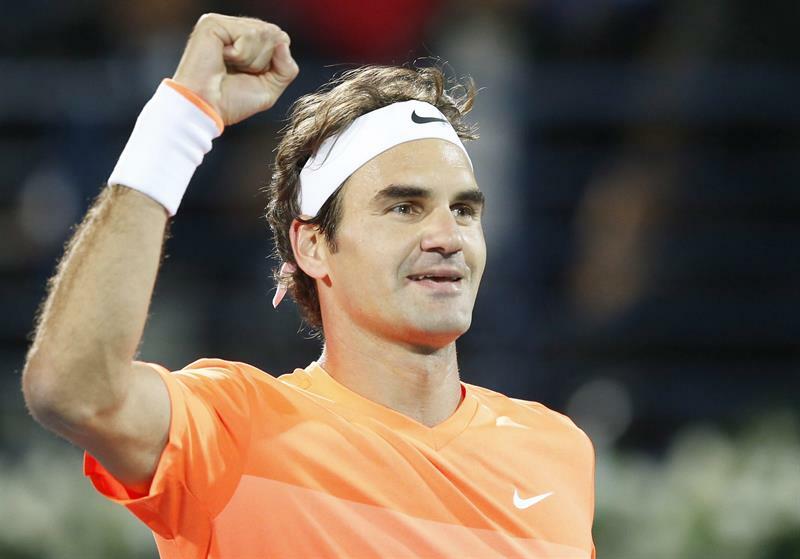 The next in the line are Swiss Indoors, ATP World Tour Final showdown & Cincinnati Masters- which Roger Federer has won 6 times. 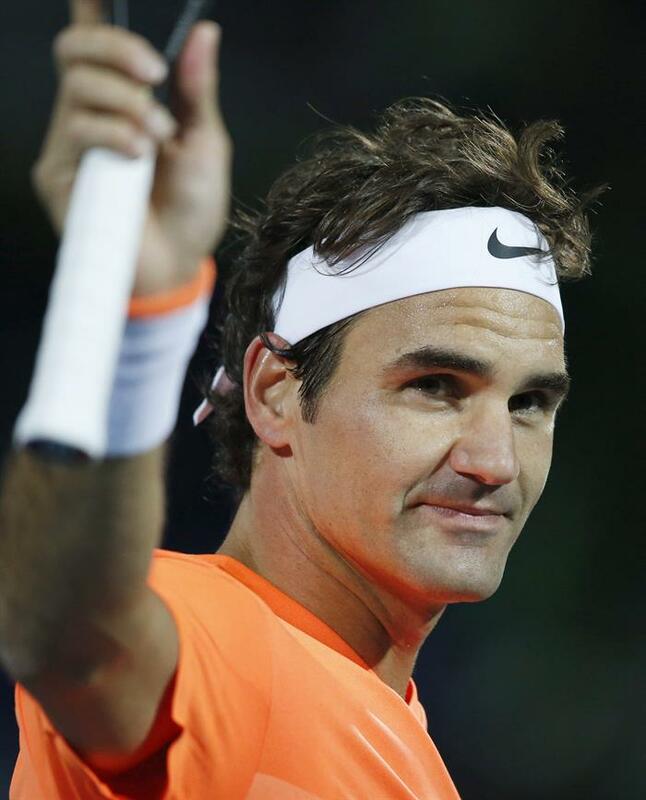 This is 5th match in the last 17 years where in Roger Federer has defeated reigning #1 in straight sets. 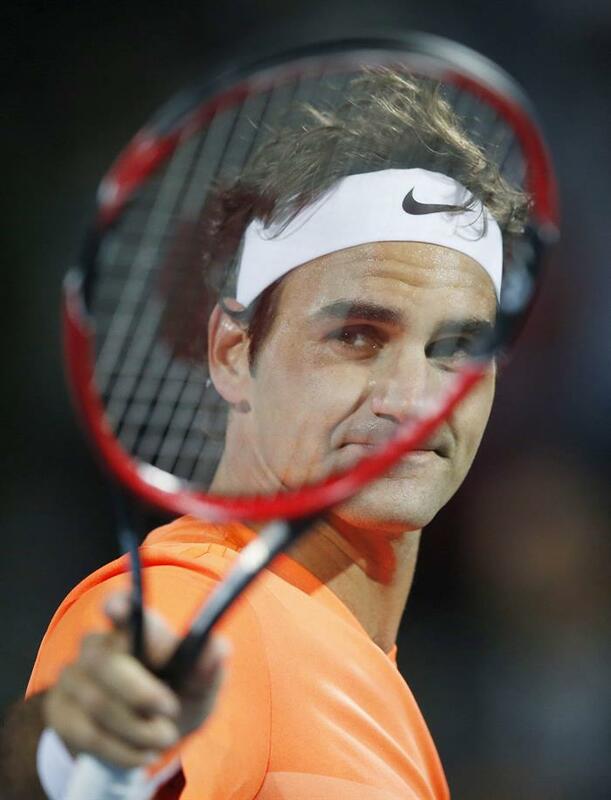 Wonderful match. 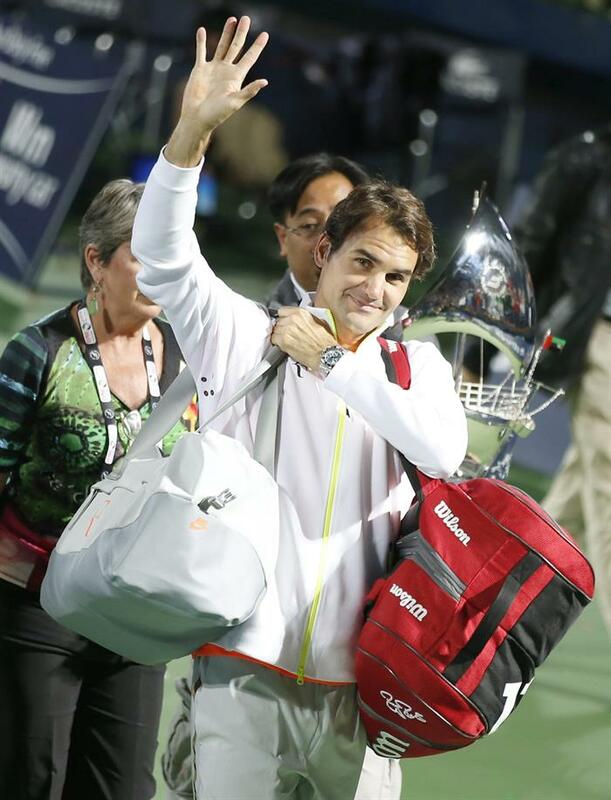 Roger was at his best and what a splendid finish. 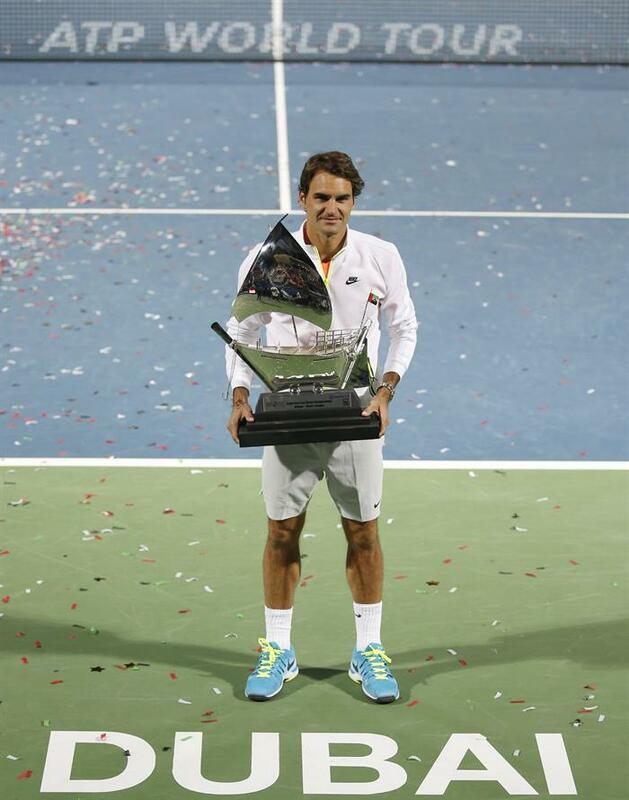 Well done and Wimbledon will be yours this year too🏆if you continue playing like you did. Super match report! Wld love more highlights.... Whole match? 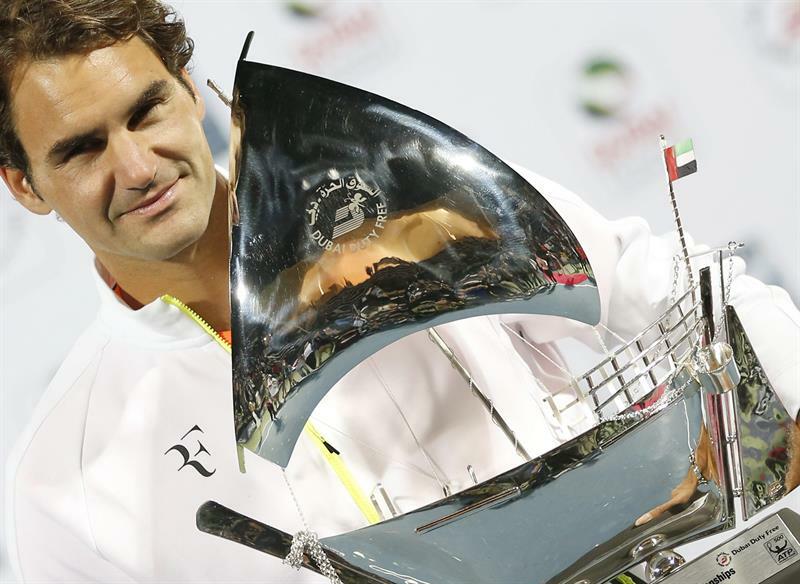 Se unieron CALIDAD y FUERZA en el juego que realizó ROGER para GANAR el ATP DUBAI.¡¡¡¡FELICIDADES ROGER!!! 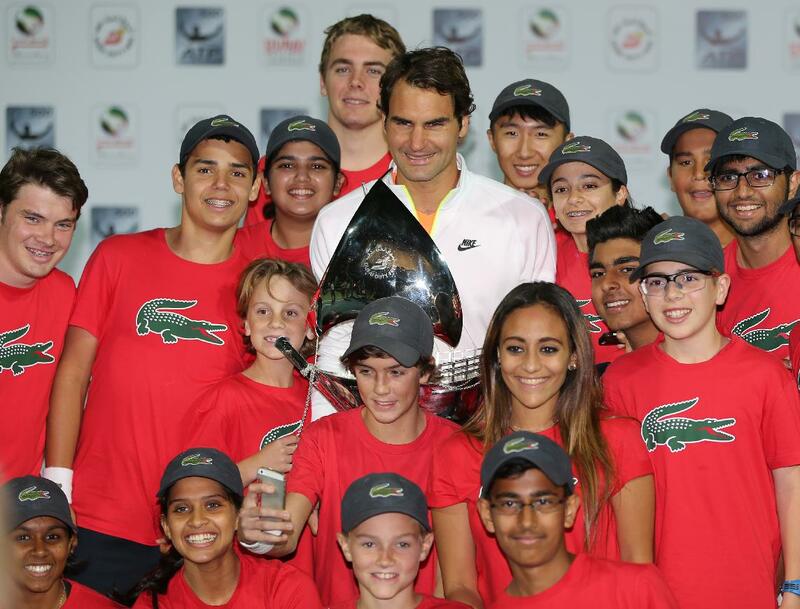 dubai tennis brings the best from Roger. Bravo.